Septic tank pumping and cleaning is an essential periodic maintenance requirement in properties that have a septic system for waste management. The septic tank gets filled up daily with wastewater and sewage, which is then processed and disposed of. Septic pumping is necessary to clean out the sludge that accumulates with time in the tank and hampers the smooth functioning of the septic system. We have the latest equipment and trained technicians to assure you of quick, efficient and thorough septic tank pumping in your Enumclaw property. While the wastewater from septic tanks passes through to the drain field, heavier waste settles at the bottom. The layer of this sludge keeps thickening gradually and ultimately starts causing the release of debris into the drain field or sewage backup into the property. 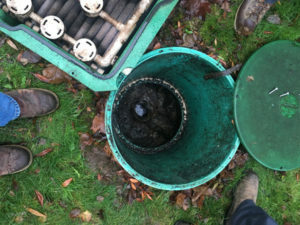 Regular septic tank cleaning helps prevent such issues. 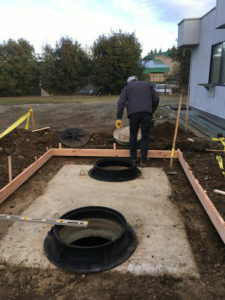 The frequency of septic tank cleaning in any Enumclaw property depends on the size and usage level of the septic system. Generally, septic tank pumping should be done every 3-5 years. Why Should Enumclaw Residents Choose Us for Septic Pumping? Proper septic tank pumping is necessary to ensure you of hassle-free use of your home or commercial property. It is just as important for prolonging the life of your septic system. So, you should settle for nothing less than the best septic pumping services that Enumclaw has to offer. Hire us! Call us now for a free estimate of septic tank pumping costs. 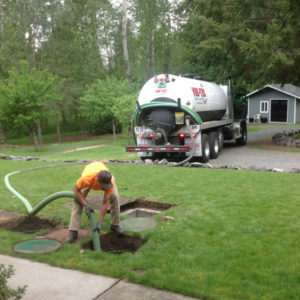 Need septic pumping services in Enumclaw? VAC-TEC LLC. is the expert to rely on! Call Tacoma – (253) 777-4887 Seattle – (206) 339-0039 Olympia – (360) 338-6686 North Dakota – (701) 566-0045.